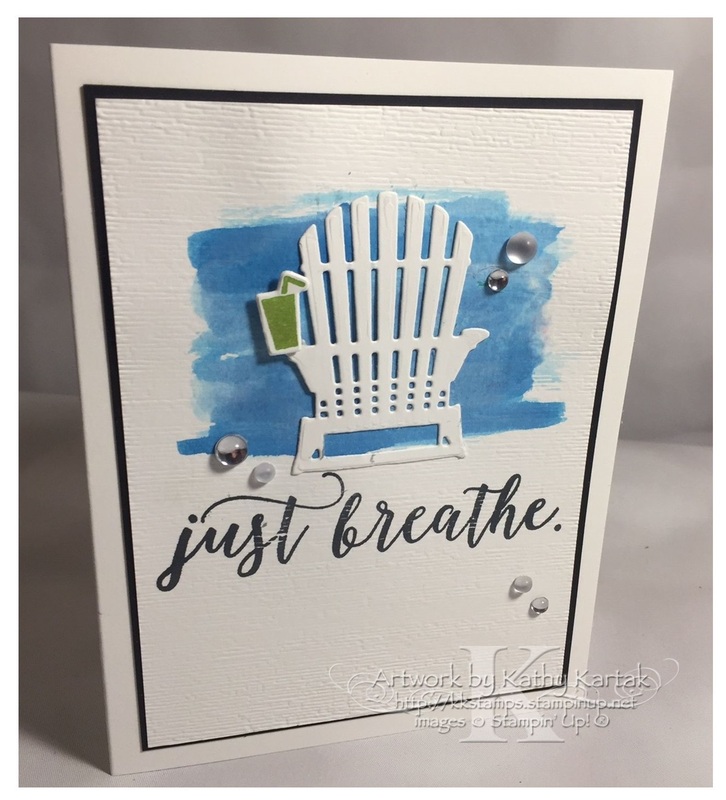 #stampinup #faithfulinkspirations This is the last of four "just breathe" cards that I'm sharing this week. If you haven't seen the other three, just click the "older posts" link to go back in time and take a look at them. Today's card uses a technique that I think I discovered on my own. Maybe others have used it, but I haven't seen it before. I made my own faux watercolor paper! I started with a 3-3/4" by 5" Whisper White Card Stock mat and embossed it with the Subtle Embossing Folder. I stamped the "just breathe" sentiment from the "Colorful Seasons" stamp set in Memento Tuxedo Black Ink onto the panel. Then I used an Aqua Painter to lay down a wash of just plain water in the center of the card. I dropped a few drops of Pacific Point Reinker to an acrylic block and added some water from the Aqua Painter. I then lightly washed the color onto the wet cardstock. While that was drying, I cut an Adirondack chair from the Seasonal Layers Thinlits out of Thick Whisper White Card Stock. I adhered this to the card with a bit of Snail Adhesive. You could also use Multipurpose Glue or the Fine-Tip Glue Pen. I adhered this panel to a 3-7/8" by 5-1/8" Basic Black Card Stock mat and then onto a Thick Whisper White Card Stock card base. I stamped the glass from the "Colorful Seasons" stamp set in Granny Apple Green and cut it out with its matching Seasonal Layers Thinlit Die. I adhered this to the card with a Mini Stampin' Dimensional. To finish the card, I added several Frosted and Clear Epoxy Droplets. I love those! 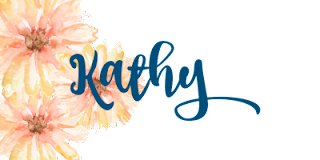 I hope you've liked my set of "just breathe" cards and I hope I've inspired you, too! !